WOULD YOU TAKE A ROAD TRIP WITH A KOALA? Koala hitches a ride behind car wheel! One crazy koala has managed to survive a 10-mile road trip in Australia. The little dude managed to cling on to the axle of a four wheel drive vehicle before the driver stopped and heard the cries of the scared animal. The fire brigade has to be called to take the wheel off so that a wildlife rescue worker could free the animal! The driver states she could smell the koala’s burnt fur. It’s believed that whilst the mother koala was uninjured, the animal was lactating which suggests her joey was missing. After spending a few days being treated in captivity, she was allowed back into the wild. Let’s hope the mother and baby are reunited! 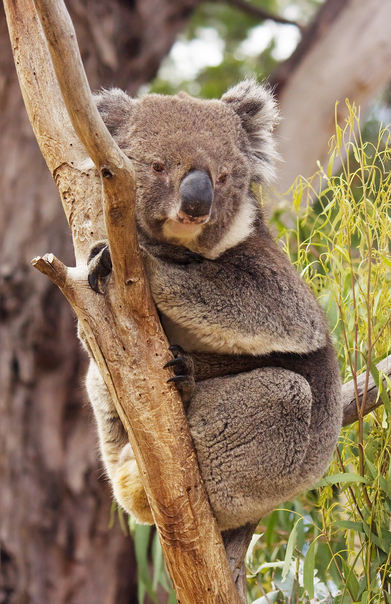 Did you know that the koalas are listed as a vulnerable species and that there are only a few as 43,000 left in the wild?